In a recent post, I suggested that successful claims under Article 1 Protocol 1 (the human right to peaceful enjoyment of property) faced all sorts of difficulties, hence the particular interest of that decision in Thomas which bucked the trend. Rash words at the end of a busy legal term: hard on the heels of that judgment of the Court of Appeal, there comes this further example of an A1P1 claim succeeding in the environmental context. This time, the claim arose as a result of a judicial review, where the judge decided that the regulator had come to an unlawful decision, and hence that unlawfulness gave rise to a damages claim against the regulator. 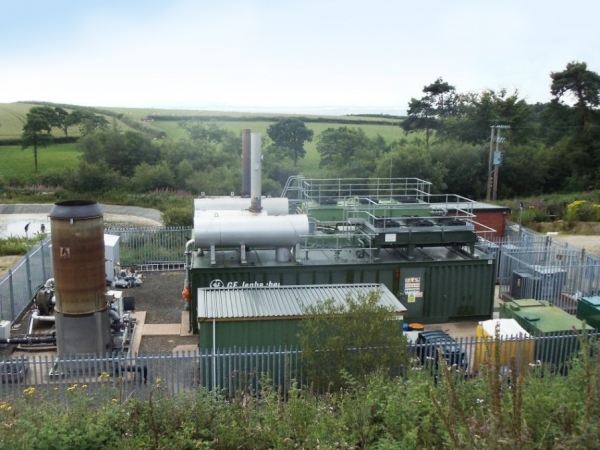 The statutory regime for subsidising renewable energy was and is grindingly complicated, but can be reduced to these essentials for the purposes of this post The claimants took landfill gas from two sites and used it to drive gas engines (see the picture), and hence to generate electricity for the grid. The case was about whether these gas engines qualified for Renewable Obligation Certificates (in effect a renewable energy subsidy) for which they needed to be accredited: we have been there in a slightly different context. The defendant Ofgem had decided they did not so qualify. The claimants disagreed, and sought judicial review of this decision. The judge allowed the challenge. The question was then : what to do? Though it may sound a bit odd to many people, you cannot just sue local or central government when they mess up and cause you loss because they get the law wrong. That is because the courts do not acknowledge the principle that an unlawful act or omission by a public authority necessarily entitles a claimant to the loss which naturally flows from that unlawfulness. Anyway, that is the starting point, in cases which do not involve Convention or EU principles. In domestic law, you need a good deal more than that to get your damages claim going. Things change a bit when the law comes from across the Channel. EU law gives a claimant a remedy in damages when the defendant has committed a manifest breach of EU law, for instance not transposing an EU measure or obviously not enforcing it properly once transposed. So how does Strasbourg law as mediated through the Human Rights Act go about things? S.8(4) HRA says that the domestic court must look to the ECHR caselaw in determining those damages. What do those cases show? Well, not a lot. But at least there are recent attempts at trying to come up with some principle in assessing damages. In Basarba OOD v Bulgaria (Application no. 77660/01, 20 January 2011), the court held (in paragraph 19 of its judgment) that reparation should be aimed at putting the applicant in the position it would have been in had the violation not occurred. This sounds very bland to an English lawyer – this proposition was laid down in a coal-mining case from the 1870s, if not before. It was acknowledged (in paragraphs 20 and 26 of Basarba) that precisely calculating the sums necessary to make full reparation might be impossible, but an award could still be made. The amount which it is necessary to award by way of just satisfaction is to be determined by the court in the exercise of its discretion “having regard to what is equitable”. And in those last words, therein lies the fudge – but not one taken up by the judge in this case, though Basarba itself was a classic ECHR fudge on damages. By which I mean that an English court would have decided that either the damages claimed were recoverable, or they weren’t. In a typical case, it would not have said that they were but then they weren’t, i.e that the full amount of loss recoverable should be discounted because there were imponderables involved. was to deny the claimants a pecuniary benefit to which they were statutorily entitled, it follows, in my judgment, that there has been a breach of the claimants’ right to property under article 1 of the First Protocol of the European Convention on Human Rights. I accept the submissions [counsel for the claimants] made to this effect. Indeed, the Authority did not deny that, if its decision was held to have been bad in law, those submissions would be sound. the court is concerned here not with the exercise of an administrative discretion but with a statutory entitlement. The claimants were and are, he said, entitled under the statutory scheme to the benefits of accreditation. I agree. So, because it turned on an issue of construction of statutory law, the judge in effect decided, the outcome was binary – C right, damages. D right, no damages. This is not necessarily the same outcome at EU law, particularly if the issue of construction is somewhat impenetrable – let alone what would happen under domestic law. Though acting in good faith, the Authority misapplied the statutory scheme, and the claimants were unlawfully denied that to which they were statutorily entitled. Their rights under article 1 of the First Protocol were thus breached. Just satisfaction requires that damages be awarded to them. If this outcome is repeated in other cases still to come, the precedent is set only by an understanding of the relevant statutory and contractual provisions which, as a matter of law, I have concluded is right. That, in my judgment, would not be a good reason for departing from the principle of “restitutio in integrum”. Part of the judge’s rationale for this conclusion seems to have been that the losses were “clearly calculable”. This appears to have been based on the distinction found in the leading case of Anufrijeva between two types of infringements, namely those giving rise to readily computable type of losses (in domestic law parlance, “special damages”) and those leading to distress etc (“general damages”) – see paras.59-60 of that case; the former will be usually awarded, whereas the latter may or may not be, depending on whether their award is “necessary to award just satisfaction”. But in the case of past financial losses, the question of principle is whether damages are recoverable in the light of whatever it is that the public authority has done. You either decide that they are, or they aren’t. Once you decide that they are, then you work out what those damages are. But you don’t decide that they are recoverable because you can readily decide what they would be if they were recoverable. Quantification would then run ahead of recoverability. Outcome : £93,454.38 in the bag, and £2,656,743.84 subject to further argument. Worth going to court about. I think the judge’s answer to this would be that the claimants did indeed have a possession in the form of a statutory entitlement to ROCs, of which they were unlawfully deprived. I would tend to agree with you that this was not reasoned through (unlike, for instance, the Thomas decision I refer to), probably because it does not appear to have been in dispute before him. I agree entirely with your point that one does not get damages by showing unlawfulness without more – that unlawfulness must impair a human right. I think this decision is wrong in law. Article 8 HRA provides for compensation for unlawful decision and article 8(6) provides “unlawful” means unlawful under section 6(1). Therefore the decision should be unlawful only because it breaches a human right. Here what the judge did is hold that the decision was unlawful but not because it breached article 1 of the First Protocol to the Human Rights Convention because it violated the statutory and regulatory scheme. That is not what a literal interpretation of article 8 provides. The remedy under article 8 should be awarded only insorfar as the violation comes from a breach of human rights. What the judge did in fact here is saying that an unlawful decision that morevoer breaches a human right can be remedied and damages be awarded. I do not think this decision is right in law. However, if it is upheld it will add to the gap in public liability. Just for comparison’s sake. In French administrative law all illegalities are a fault and therefore demand compensation. Let’s just remember once more how Dicey was wrong! Let’s quote him just to show it: ““The Minister or servant of the Crown who thus takes part in giving expression to the Royal will is legally responsible for the act in which he is concerned, and he cannot get rid of his liability by ‘pleading that he acted in obedience to royal orders. Now supposing that the act done is illegal, the Minister concerned in it becomes at once liable to criminal or civil proceedings in a Court of Law…. The point however which should never be forgotten is this: it is now well-established law that the Crown can act only through Ministers and according to certain prescribed forms which absolutely require the cooperation of some Minister, such as a Secretary of State or the Lord Chancellor, who thereby becomes not only morally but legally responsible for the legality of the act in which he takes part. Hence, indirectly but surely, the action of every servant of the Crown, and therefore in effect of the Crown itself, is brought under the supremacy of the law of the land. Behind Parliamentary responsibility lies legal liability, and the acts of Ministers no less than the acts of subordinate officials are made subject to the rule of law”.